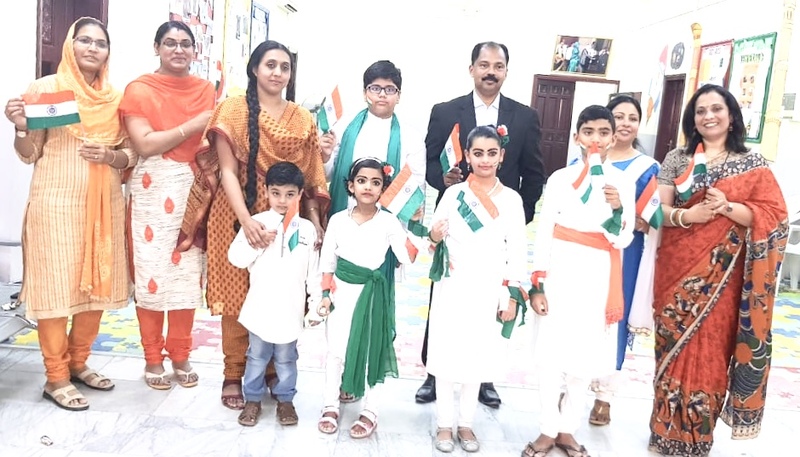 Bhavan’s Public School celebrated the nation’s 72nd Independence Day in the school premises at the Matar Qadeem Campus saluting the nation and the sacrifices of freedom fighters.Mr. 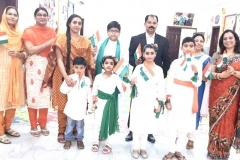 K.M.Anil, General Secretary Bhavan’s Public School hoisted the national flag followed by the national anthem. In his address he inspired all to remember the sacrifices of great leaders and reach India to greater heights with Unity.Mr. P.N.Baburajan, President Bhavans School in his address urged the students to be hard working and respect the nation’s freedom by remembering all great leaders and their hard work. Students presented a dance performance on patriotic songs and also gave speeches. Principal Mr. M.P.Philip in his address highlighted the importance of freedom from fear, exploitation and suppression and encouraged students to use the freedom in the right sense to build a stronger nation. The event was attended by Director Administration Mrs. Anjana Menon, Board of Directors Mr. KMS Hameed and Mr. Louis, Headmistrss Mrs. Asha Shiju, parents, students and staff. The programme ended with the distribution of sweets.